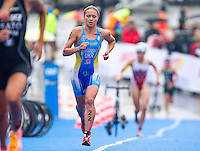 This gallery features images from the ITU World Triathlon Series sprint race and Mixed Relay Triathlon World Championships plus images from the Stockholm Triathlon, held in Stockholm, Sweden over the weekend of the 24th to 26th August 2012. All images are available for online purchase for Rights Managed Editorial use. Additional images from this and other events can be found via the search function on this web site.